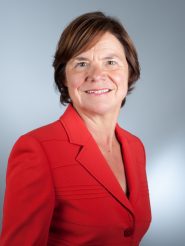 Martine Reicherts, Director-General of the European Commission’s Directorate-General of Education and Culture, visited the EUI in February. She met with President Dehousse and Secretary-General Grassi, had a tour of the European University Library and visited the Historical Archives of the European Union. 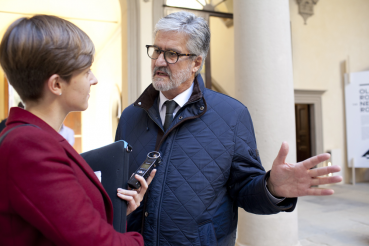 In an interview with The EUI Times, Reicherts reflects on the legacy of the Erasmus generation. Manuel Marín was Vice-President of the European Commission presided over by Jacques Delors. He was responsible for Social Affairs, Education and Employment, and led negotiations for the Erasmus programme. He visited the EUI in October for a conference on Higher Education and European Integration. Quotes are taken from his address to the conference. More than nine million young people have lived and studied abroad under the Erasmus programme in the thirty years since its creation. Students have come to know people, places, and languages which would otherwise have remained foreign. It is even said that one million babies have been born as a result. Indeed, due to the lack of cooperation, the EC at one point withdrew its proposal from the Council of Ministers. This move spurred the Council to react, and in the end, that body brought the member states into agreement on the programme. Similar concerns about the overlap between member states and European sovereignty shape the contentious debate about free movement in Europe today. After Brexit, parties espousing anti-immigration and anti-EU sentiments could gain support in the upcoming Dutch and French elections. Yet Erasmus depends on such ‘fundamentals’ of EU citizenship. It ‘needs to be untouched if we are to go on with the Erasmus program,’ Reicherts said. The greatest achievement of Erasmus is, perhaps, the cultivation of ‘European citizens’. ‘The Erasmus generation is a European generation,’ Reicherts said. ‘One of the main projects that we developed 30 years ago was to create the conditions for maintaining the spirit of Europe at the university level.’ Marín also remarked on the importance of including young people. ‘The goal,’ he said ‘was to catch the youth’, a more open-minded generation. The ‘Europe of Citizens’ is increasingly under threat. Yet ‘[Higher Education] is running quite well in comparison with other European areas where we have a real crisis. So we have to protect it,’ Marín told The EUI Times. ‘Recent events have shown me that nothing can ever be taken for granted,’ Reicherts said, reflecting on the shocks experienced in Europe in 2016. ‘I was in Brussels on the 22nd March last year when we had the terrorist attack and I would never have expected something like this to happen,’ she said. Since the attacks in Paris in November 2015, the European Commission has begun to look more closely at anti-radicalisation and inclusion. ‘Maybe we failed in inclusion, in tackling inequalities in the European project,’ Reicherts explained. ‘Have we really included the less favoured in our societies? Have we really integrated the people coming from abroad? What are we doing now with the migrants?’ she asked. EU leaders still look to Erasmus, even thirty years after its creation, to help unite a divided Europe and broaden inclusion into ‘the European generation.’ ‘Those who have been through the [Erasmus] programme have developed a kind of European citizenship whereby they share values,’ Reicherts explained. Today, this is ‘what we lack most at the European level,’ she said. ‘We need to have more of the Erasmus kind of approach so that we know how to talk about any subject in a peaceful way. So that, even if we struggle, we can do so without fighting,’ she said. A new European Commission programme, launched in September 2016, even plans to expand the ethos of Erasmus to young Europeans outside higher education. Over 20 000 people have already registered for the Solidarity Corps, through which 18-30-year-olds will volunteer abroad in Europe. They will spend between two weeks and six months working in an organisation like an NGO, or a museum. According to Hywel Ceri Jones, seen by many, as is Manuel Marín as one of the founding fathers of Erasmus, ‘Erasmus remains a key part of the EU 2020 strategy.’ Yet unlike Erasmus, the Solidarity Corps is open to all young people, regardless of educational background. Yet Reicherts hopes that the program can nurture the same culture of shared values and secure the future of another generation of European citizens. Thirty years ago, Europe was also divided. As Marín reflected in his speech to the conference on higher education, the Berlin wall still stood, the threat of nuclear weapons remained, and there was no internet. ‘It was hard for the EC to communicate,’ Marín told a conference on Higher Education at the EUI last year. ‘Erasmus was part of the solution,’ he said.